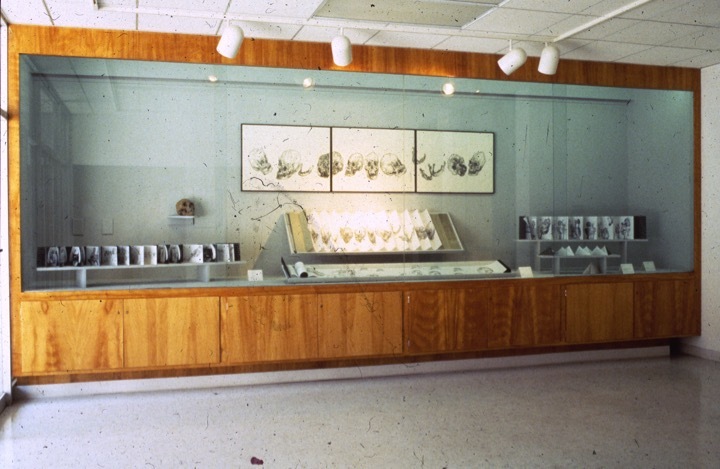 The Anatomy Lesson, (exhibition image) California State University Los Angeles, 1994. 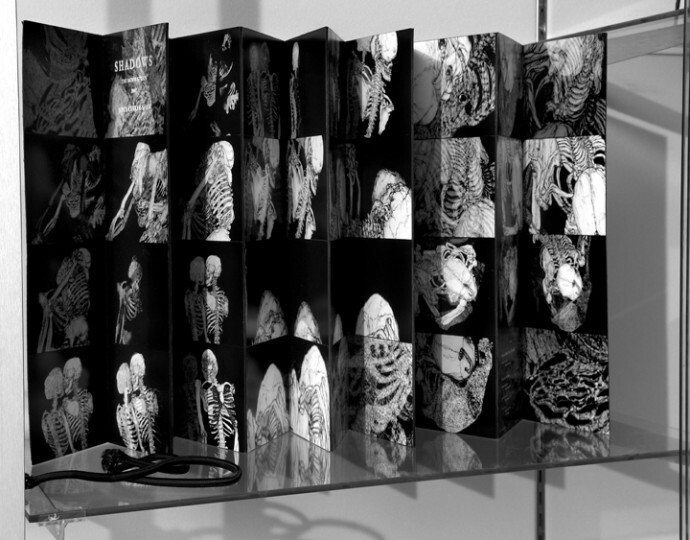 Shadows from The Anatomy Lesson (closed), artist book of stills from video, UCSD School of Medicine on long-term view, 2007. 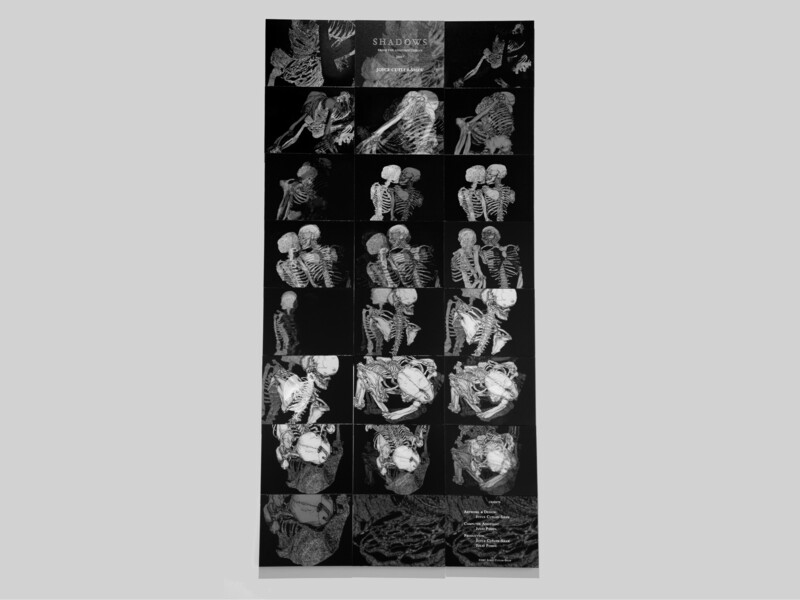 The Anatomy Lesson II (fanfolds with original photographs,) 1993. 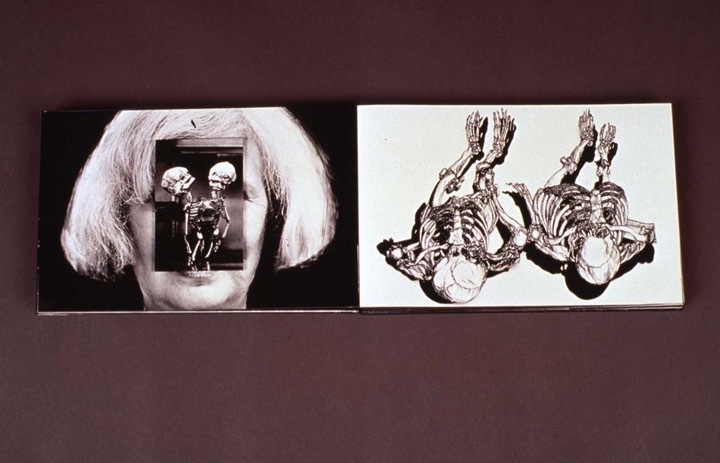 The Anatomy Lesson III (fanfolds with original photographs) 1993. 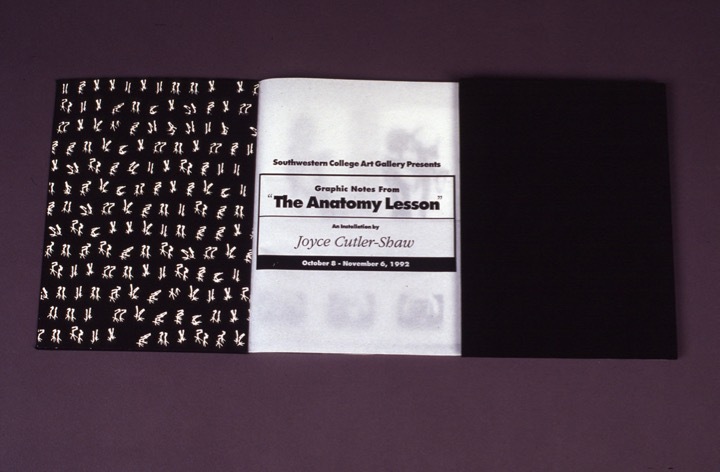 Joyce Cutler-Shaw, Shadows from The Anatomy Lesson (open), artist book of stills from video, UCSD School of Medicine on long-term view, 2007. 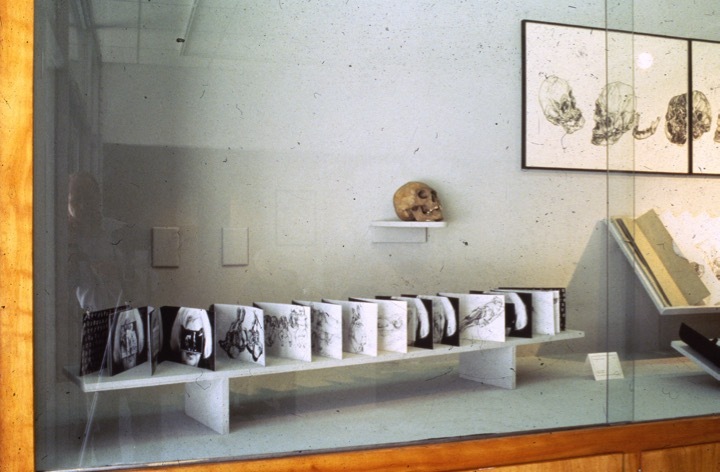 Skeletons and Shadows From the Anatomy Lesson (fanfold with original photographs) 1993. 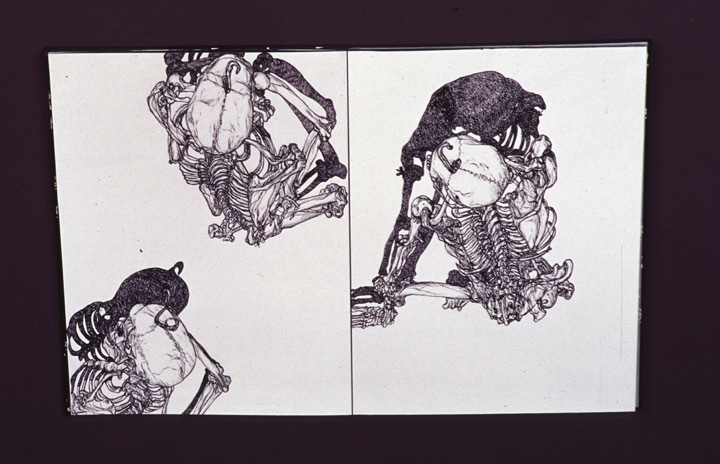 Skeletons and Shadows From The Anatomy Lesson (detail) 1993. Graphic Notes From The Anatomy Lesson, 1992. Graphic Notes From The Anatomy Lesson, (detail) 1992. Fanfold artist’s photographs mounted on board. 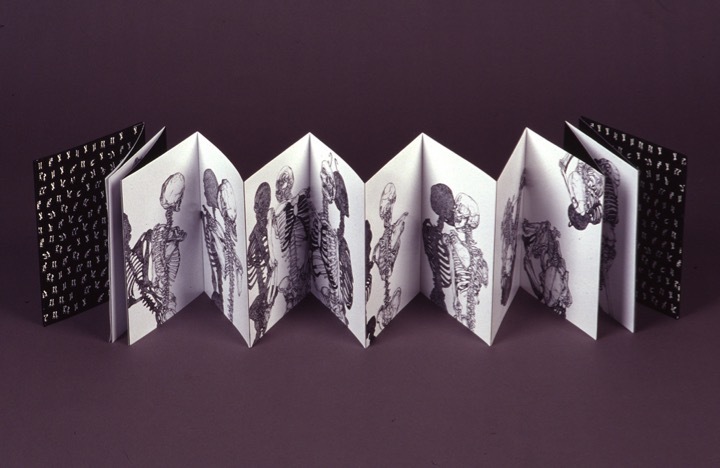 One-of-a-kind edition with leather covers, dimensional, in and fold-out inserts The book was conceived as a response to Institutiones Anatomicae of Dr. Prof. Cafp. Bartholini, 1641, The Netherlands. Fanfold artist’s photographs, Gelatin Silver prints, mounted on board. Limited Edition of 12, 1991. 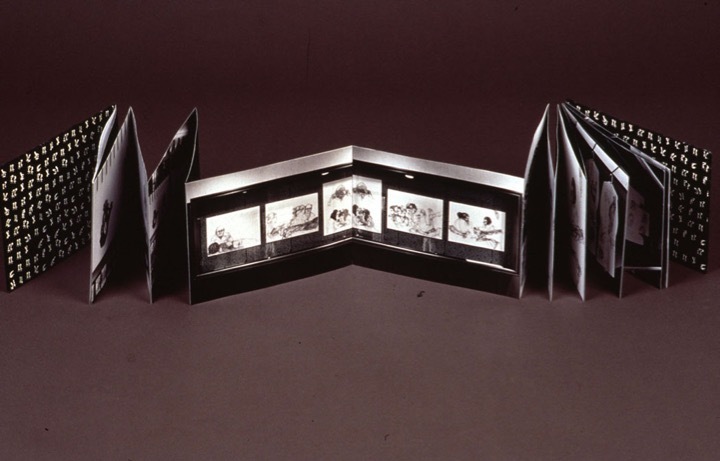 Hand bound fanfold with “curtains”, Limited Edition of 12. Presentation book, one of a kind. 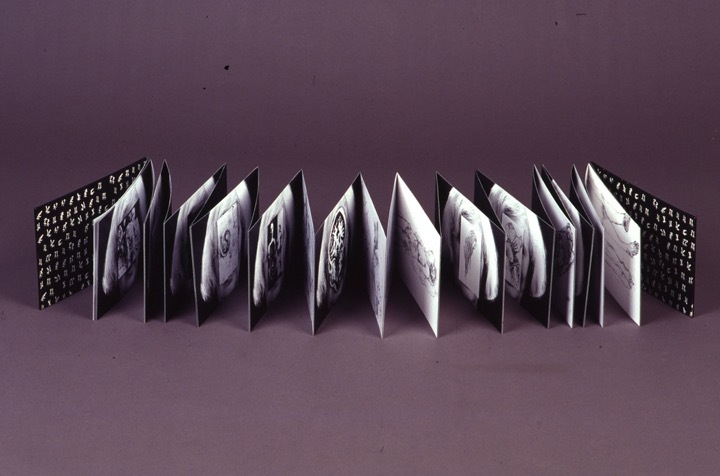 Accordion fold artists book, one of a kind.